When developing our application, we studied the various possibilities on the electronic market. 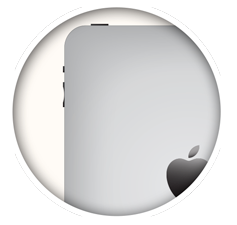 We chose the iPad for a series of characteristics that are unmatched by other manufacturers. FACEASiT users don’t necessarily know about programming, which is why it is so important to choose the simplest, most stable tool. Apple offers products that are stable, ergonomic and functional as well as attractive. Aesthetics are vital when you think how many hours you spend in front of your computer and other devices. For us, a good digital support is essential. When you programme such a complex, complete application as FACEASiT, it is vital to design and programme it specifically for the target support, ensuring fast, agile, elegant use. The iPad with its iOS operating system offers you an enhanced interactive navigation experience. The quality and stability of the iPad is amazing at the price. 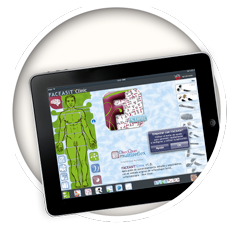 You don’t need a new iPad (popularly known as iPad3); using FACEASiT on iPad 2 is easy and intuitive. FACEASiT only needs an Internet connection to buy tools and view the help videos. All the other functions are executed locally without an external network. This means you don’t need to buy a 3G model. If there’s no free Internet connection where you are, just use your smart phone as a WiFi repeater. The capacity of your iPad will depend on the other tasks you use it for. If you want to cut out the computer completely, we recommend an iPad with at least 32 GB of memory to store several documents and photographs. Remember, today we use cloud computing—that is, we can store photos, documents and music on a shared resource. Various providers offer free space that you can pay to extend. DropBox and GoogleDrive are the most popular. You don’t need any additional storage space to use FACEASiT. Plus Apple provides its iCloud service, which automatically makes backup copies and synchronizes your iPad with another computer through iTunes. All this information is covered in more detail on Apple’s website, and there are free classes for new users in Apple stores. A 16GB WiFi iPad2 (basic model ±400€). FACEASiT also works perfectly with an iPad1 or iPad3. 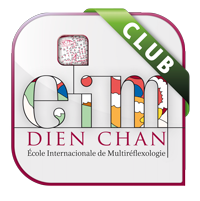 & Dien Chan Multireflex are registered trademarks.